On the heels of its universally praised X100 camera, a retro-styled point-and-shoot that ginned up truly impressive images, Fujifilm is launching a line of similar shooters that look equally exciting. Following the X10 (basically a cheaper X-100 with an added zoom lens) comes the X-Pro1, which after a few rumors was just officially announced at CES. With the X-Pro1, Fuji is making the leap into the red-hot category of MILC cameras, which behave like dSLRs (interchangeable lenses and all) but come in more compact bodies. The X-Pro1 includes a hybrid optical/electronic viewfinder, a rarity for MILC cameras, and an all new image sensor that Fujifilm seems particularly excited about. It will launch with three available lenses, an 18mm ƒ2 (28 mm equivalent), a 35mm ƒ1.4 (50 mm equivalent) and a 60mm ƒ2.4 (90 mm). 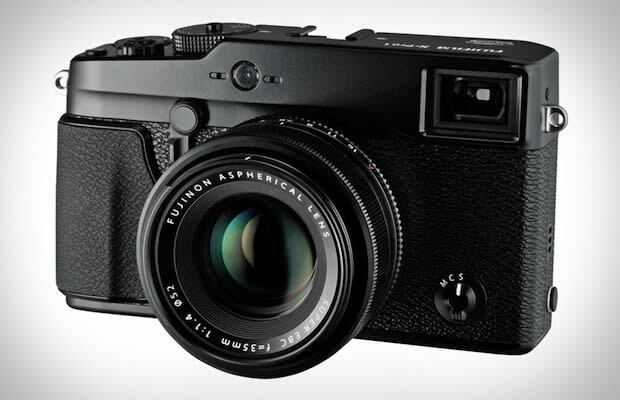 Fujifilm says the X-Pro1 will be available in February. Price hasn&apos;t been officially announced, but the camera has been rumored at a steep $1,700 even without a lens. They perform like dSLRs, and they&apos;re starting to cost like them, too.